Reduce Outlook Data file (.pst) size in an efficient way by regularly archiving old Outlook emails . It's like a back of an Outlook items that can be easily moved to a separate Outlook Data file (.pst). Archive items can be accessed any time by just opening the file. 1. Automatically: This process take place automatically by AutoArchive, you have to just customize some default setting. 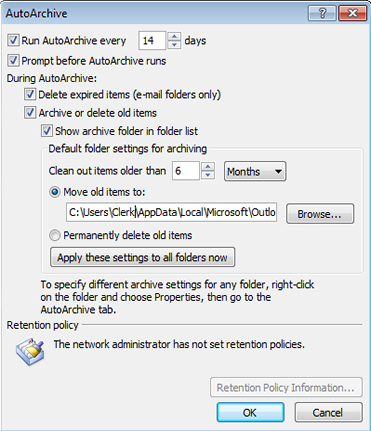 AutoArchive option helps in moving items from Outlook original location to an archive folder when they expire. It can also be set as deleted at the time of expire. 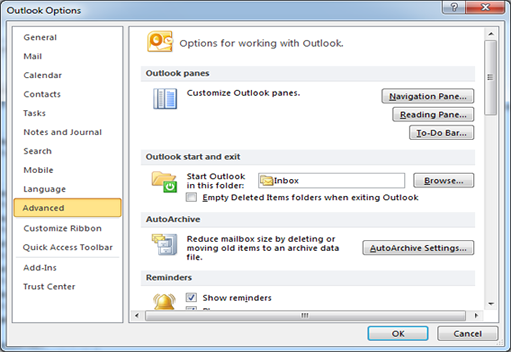 First time when you run Outlook AutoArcive option is turned on by default and it runs within 14 days. 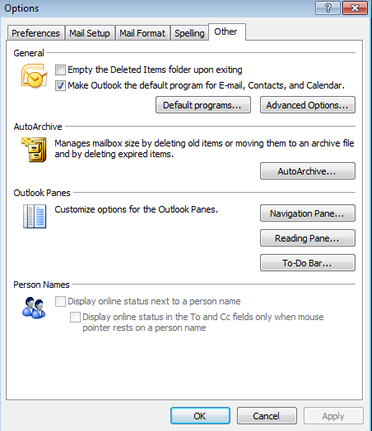 You can change or set the duration of Archiving Outlook data file (.pst) according to your need. After that Click on "Advanced"? Click on "Tools" menu and Click on "Option"
2. 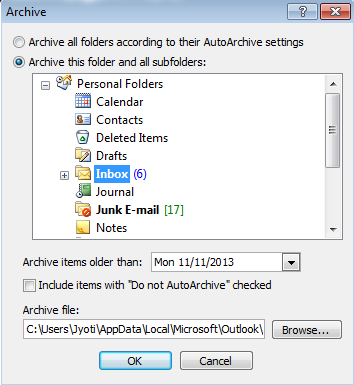 Manually: There is also a manual way to archive or backup Outlook emails. A manual method is more flexible compare to an auto as it allows you to specify a particular folder you want to include during archiving process. After that Click on "Cleanup Tools"
Select Archive this folder and all subfolders option, then select folders you want to archive. Under Archive file select browse button to specify new file or location if you don't want to use the default one and Click "Ok"
Exclude individual items from automatic archiving, by selecting an Include items with "Do not AutoArchive" check box. On "File" menu Click "Archive"
Under "Archive file" Click "Browse" to specify location if you don't want to use default location. 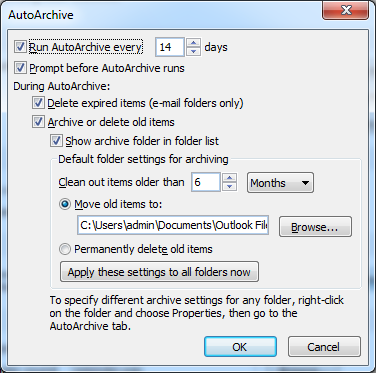 Exclude individual items from automatic archiving, by selecting an Include items with "Do not Auto Archive" check box. What to do if the Archived file gets damaged due to unwilling reasons? If the Archived data of your Outlook get damaged due to some bothering errors than go for an inbuilt utility name as scanpst.exe provided by an Microsoft. It helps you to fix the low level corruption and recovers the corrupt database into the healthy file format. But if we talk about an worst scenarios of corruption this utility completely get fails and at that time you have to switch on Outlook PST recovery tool to fix corruption in PST file.